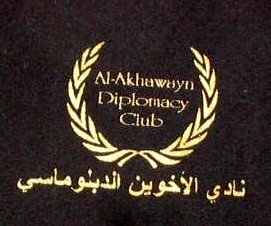 Al Akhawayn University Diplomacy Club is a club where we teach young generations of diplomats the values of tolerance & open-mindedness to other cultures and a liberal understanding of world issues. Our main goal is building a new generation of future global leaders. - Offering training on diplomacy and arts of international relations. - Field trips to IGOs NGOs and GOs at the international level. - Organising coferences and seminars on world issues.